Upper Mustang is one of the most famous trekking destinations to explore the most isolated and unexplored bend fascinating the Himalayan Kingdom in Nepal. Upper Mustang is one of the unique places in the world which offers you a spectacular trekking experience in the remote trans- Himalayan mountain. 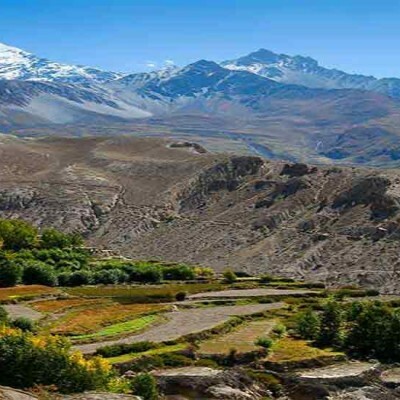 This is one of the beautiful and hidden paradises of Mustang where travelers experience fabulous vacation trip and explore mystique valley and the last forbidden kingdom in Nepal. While in the trek you can observe the beautiful Trans-Himalaya landscape, Chhortens, ancient Tibetan Buddhist shrines including stupas, Kannis, Prayers Walls, ancients Monasteries and encounter with Tibetan native people and their unique culture and traditions. This makes this pleasing trek most lifetime memorable. Upper Mustang is also regarded as a Mini Tibet of Nepal and a well-liked trekking destination and also describe as “Mountain Desert”. 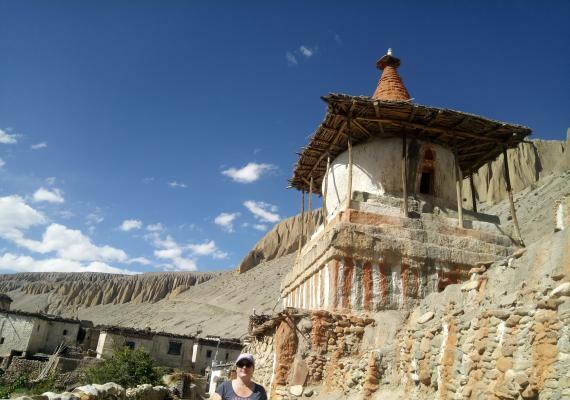 Upper Mustang lets you visit Lo Manthang, an isolated region which will provide you incredible satisfaction and give you chances to experience the hospitality and warmth of the local living of the remote mountain. The trekking journey offers you a mind-blowing panorama of various mountains including Nilgiri, Dhaulagiri, Annapurna, and several others snow-capped peaks. 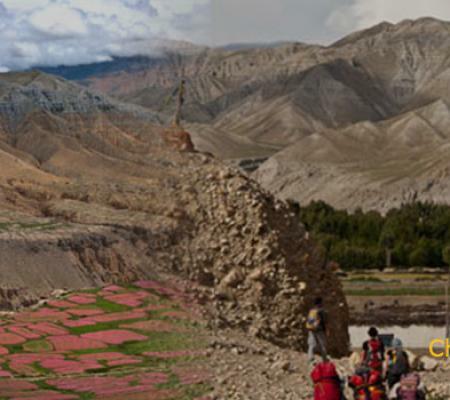 Upper Mustang, having a geography and culture resembling Tibet is definitely surprising and an exciting trekking region to trek on, and also give similar feelings of trekking in Tibet. 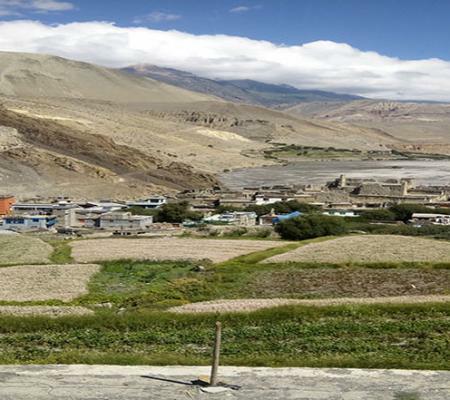 The whole isolated area of upper Mustang gives a mystical feel to it and enchanting and inspiring visitors to this region. The upper Mustang Trek begins from the Jomsom village throughout the beautiful Kali Gandaki River in Kagbeni. Then trekkers will enjoy the capital of ancient Mustang city called Lo- Manthang and traditional villages of Upper Mustang. The trekkers from Jomsom, either take air-flight or vehicle ride to Kathmandu city or Pokhara city it depends on the trekker’s interest. Day 05: Trekking from Kagbeni to Chele. Lying in the rain shadow, a great trek to escape the summer monsoon. Human Settlement in Himalayas Range. Tibetan Food, Dresses, Life Style and Faces of the people. Early in the morning, after having breakfast, we’ll drive towards Pokhara. We’ll stay overnight in Pokhara. The next morning, we’ll take a flight to Jomsom. This scenic adventurous flight takes around 20-25 minutes. During your flight, you will get chances to view Mt. Dhaulagiri, Annapurna range, Fishtail, and numerous famous summits. After reaching Jomsom, our trek begins toward Kagbeni, which is check post for entrance to restricted Upper Mustang trekking. It takes around 3-4 hours walk. The trail passes through Eaklibatti Village which is located at the bank of the beautiful two rivers. We’ll stay overnight in Jomsom. Day 5 : Trekking from Kagbeni to Chele. After an early breakfast, we’ll continue our trek towards Chele, the distance between Kagbeni to Chele is 15.3 kilometers/ 9.5 miles. It takes almost 6 to 7 hours trek. 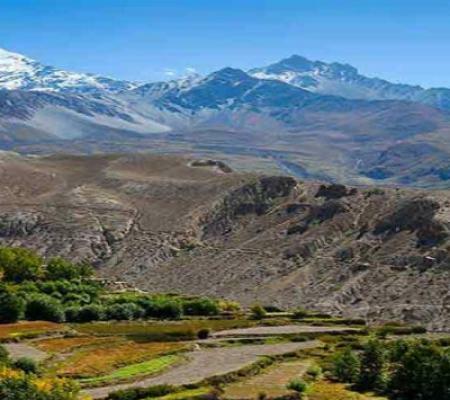 Chele Village is located at an altitude of 3050m above the sea level. During the journey, trekkers will enjoy awesome views of the majestic orange glow of Nilgiri sun reflection and Tukuche. The villages such as; Kalobhir, Rock tunnel, organic apple farm, Tangbe village, red, white and black Chortens, Gumbakang and Chhusang are the famous village, where trekkers will get chances to know about the traditional culture and customs of the people. The trail passes alongside the Kali Gandaki River and Tangbe Village which follow the natural tunnel in the cliff. We’ll stay overnight in Chele. The trek this day will be a little hard than before. After an early breakfast, we’ll continue our trek towards Syanbochen. The trail passes alongside the Kali Gandaki River and Tangbe, which offers a beautiful view towards Samar, the Kali Gandaki valley, and snow-capped peaks. We should walk crossing two passes; Taklam La pass and Dajori La pass. This is the great opportunity to experience the great views of Tilicho, Yakawa Kang, Damodar Danga and Ramchung Cave. During your trek, you will also see amazing red painted cave monastery called Rangchyung Chorten, which looks as if it has been stuck on to the vertical wall. One of the most sacred places in Mustang. The trail passes through beautiful forests and green bushes that are surviving in the narrow gorge because the high vertical walls keep them cool and adequately moist. Another most interesting things here is, most often trekkers can get chances to see rare blue mountain sheep in this area. We’ll stay overnight in the Syanbochen. As morning begins, our trek will ascend towards the Yamda La pass. We’ll continue our trek through the dry and loose trail. We should walk through popular yellowish trees and barley fields and finally reach the Ghami. The next morning, we’ll walk towards Tsarang passing through a rough and slippery trail. We should cross the suspension bridge over the Ghami Khola. Where we’ll pass through one of the most famous and longest Buddhist Mani walls of Nepal. The wall is approximately 1000m long and surrounded by wonderful Himalayan range along with simple carvings in Ghami. During your journey, you will see amazing architecture which seems like a natural one. There is one of the popular red painted Stupa called Tsarang Chorten, which is situated in the middle of the landscape but interesting thing over there is, you will not see any sign of human being living over there but you will just see and enjoy barren hill with its creepy beauty. We’ll stay overnight in Tsarang. In this day, after having early breakfast, your trek destination is from Tsarang to Manthang. We’ll trek towards a canyon and cross a river and finally reach to the Lo- Manthang Village. Lo-Manthang is a beautiful walled village in Mustang. We’ll also experience the beautiful views of Himalayans including Nilgiri, Annapurna I, Tilicho, Khrikuti Peak and Damodar Kunda. We’ll stay overnight in Lo-Manthang. Lo-Manthang is the walled village that lies in Mustang. The day will pass by exploring Lo-Manthang and its culture and tradition. We’ll also trek towards Tingkhar on the same day which is a beautiful village in the north of Lo-Manthang. We’ll spend overnight in Lo-Manthang. 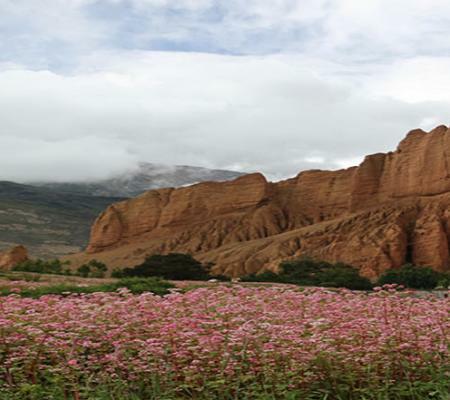 In this day, early in the morning, our trek will start from Lo-Manthang where you will walk down the yellow canyon to Tamar which seems large red vertical cliff from the North West side. On the way, not only that, you will get chance to see the barren landscape with the contrast color, you will see a combination of red rock, blue sky, green grass and white yaks seems very intense. We’ll trek towards Drakmar, there you will see numerous caves but the entrance is not accessible to the trekkers except rock climbers. In this magical cave, more than hundreds of prayer flags are woven into it. The trail passes through Shyangboche Village which has different old paintings preserved from past. We’ll stay overnight in Shyangboche. The next day, your trail will head towards Samar which is situated high above the canyons. Where you have to cross both side valley from where you can enjoy the close view of Annapurna range, Tilicho, and Nilgiri. Not only that you will also enjoy ice wall too. Then you will trek downhill toward Gyakar which way is quite spectacular, running high above the gorge until you reach to the Kali Gandaki region. There you will see beautiful Tetang’s Mani wall and wonderful Chorten, which has symbolic auspicious paint on each side. The next morning, after having breakfast, we’ll have a beautiful view of the village of Tetang. The village consists of two separate high wall settlements, which seem like a large fort. During your trial, you will see amazing close mountains views which look quite impressive along with large glaciers. There is also one famous Tilicho glacier which is covered by snow. Then you will make the moderate walk down towards Muktinath along with a stunning view of Dhaulagiri and Annapurna. 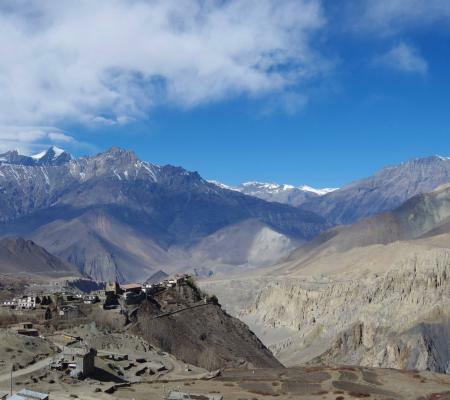 When you will reach near to the Muktinath, there you will see numerous sporadic houses. 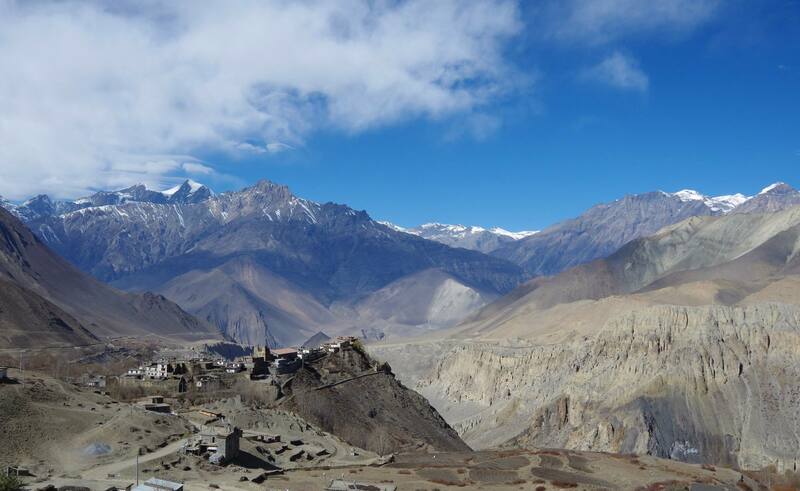 Muktinath is one of the famous pilgrimage sites for Buddhist and Hindu. It is a sacred place of salvation for Hindu. All the Hindu people believe that bathing in the waters here guarantees salvation after death. We’ll stay overnight in the Muktinath. 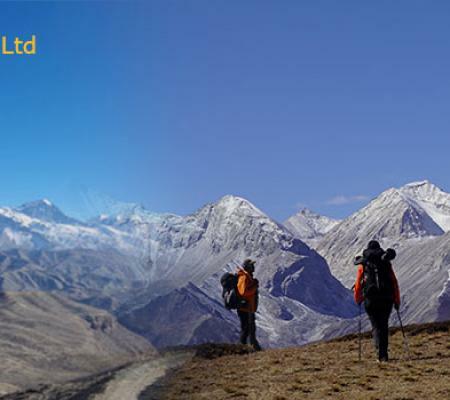 It is the final day of your trek, early in the morning, you will enjoy the yellow-orange glow of Dhaulagiri. Not only that you will also make a side trip to the Bon Punt soiling monastery in Lubra which is one of the very old and famous monasteries in Nepal. Then finally, we’ll trek towards Jomsom. 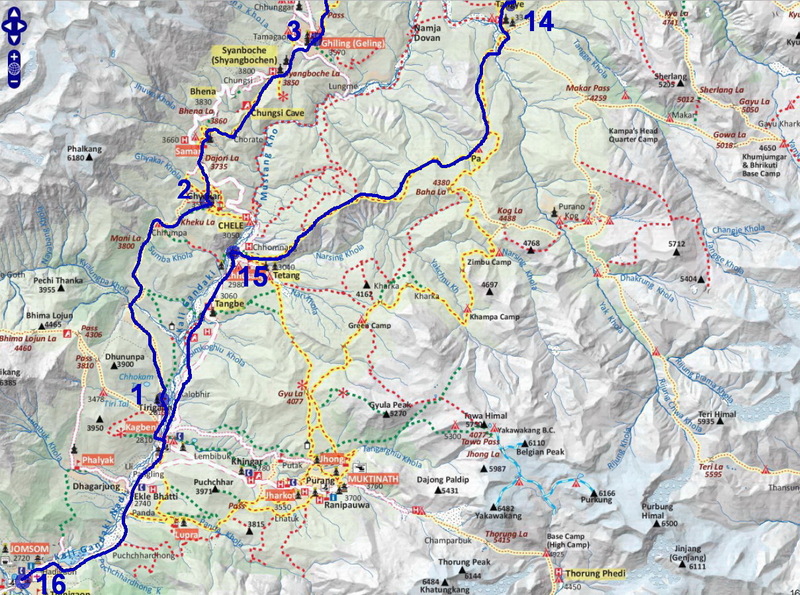 After the end of Mustang trails, we’ll then join the Annapurna Circuit. Our journey will continue towards Jomsom after a lunch break. We’ll stay overnight in Jomsom. Early in the morning, after having breakfast, we’ll take a flight towards Pokhara. During your flight, you will get chances to amazing aerial views of Mountains and Himalayans. We’ll stay overnight in the naturally beautiful city after exploring the entire city. As the morning arises, we drive towards Kathmandu on the bank of the river with the beautiful Mountain views by its side. After you reach Kathmandu, you can do some shopping for gifts for your family and friends. Overnight in Kathmandu. Our journey of Upper Mustang ends on this days. A representative will help you with your final departure. Airport Pick up and Drop BY Private Vehicles..
Transport from Kathmandu to Pokhara and Pokhara Kathmandu. With private Vehicles.